Some times we cannot control the people and circumstances of our life. 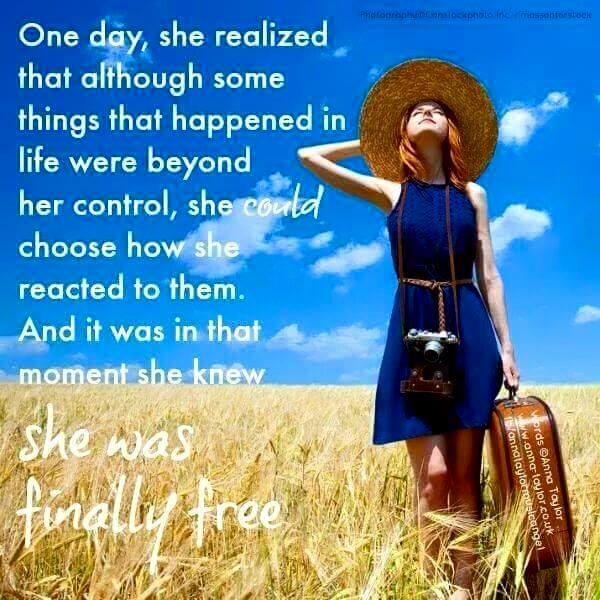 If we control our reactions and how we deal with it then we have control over our own lives. Jettison anyone that treats you negatively. You only have a short time on this Earth use it wisely. Don’t waste it on could have, should have, would have. They are empty vessels leading to sadness. Embrace I have, I will, I am worthwhile, I am one of a kind. Love your friends and your life don’t lust after someone or something that is not meant to be. Freedom is precious. Freedom of the mind doubly so.